During the period of Polish rule, the Russian language maintained a presence in Jewish education. Three Jewish gymnasiums (high schools) operated in the city – a Hebrew Gymnasium, a Russian Gymnasium and a Yiddish Practical Gymnasium,with lessons in Russian in the higher grades. 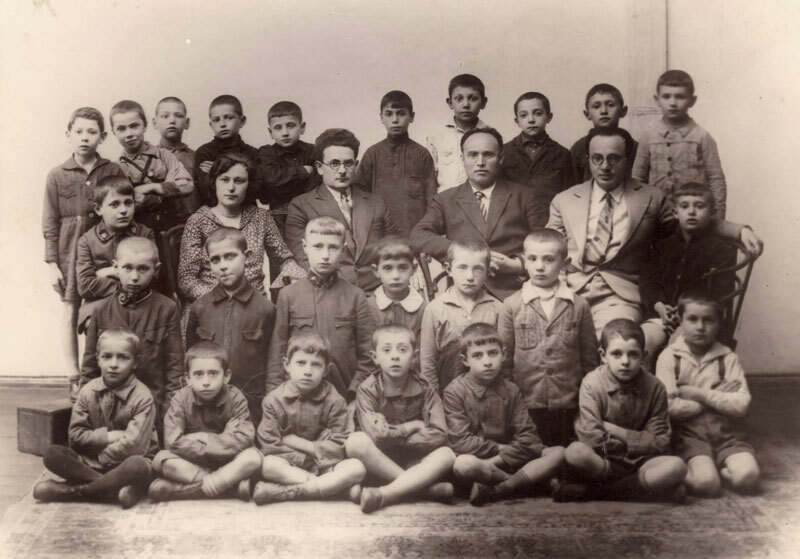 More than 800 Jewish children also studied in the two foreign gymnasiums – Lithuanian and Belarusian. 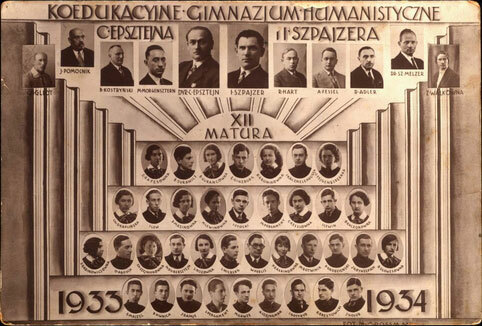 The authorities allowed those gymnasiums that taught in Polish to award matriculation certificates, which led to a number of them beginning to teach in Polish, in addition to Hebrew or Yiddish – instead of Russian. To encourage the Jews to study Polish, the authorities opened "Shabbatovkos" – local government schools for the Jewish population that were closed on Saturdays and that included in their syllabus Jewish and religious studies in Polish. While Jewish notables worried that these schools, which they nicknamed "matriculation stores," would distance the children from their Judaism, 6,000 Jewish children enrolled into the schools. The Central Education Committee (Tsentraler Bildung Komitet – ZBK) set about taking charge of secular education in Yiddish, in response to the expansion of education in foreign languages. The Committee ran kindergartens, five schools and a practical gymnasium in which Yiddish was taught. 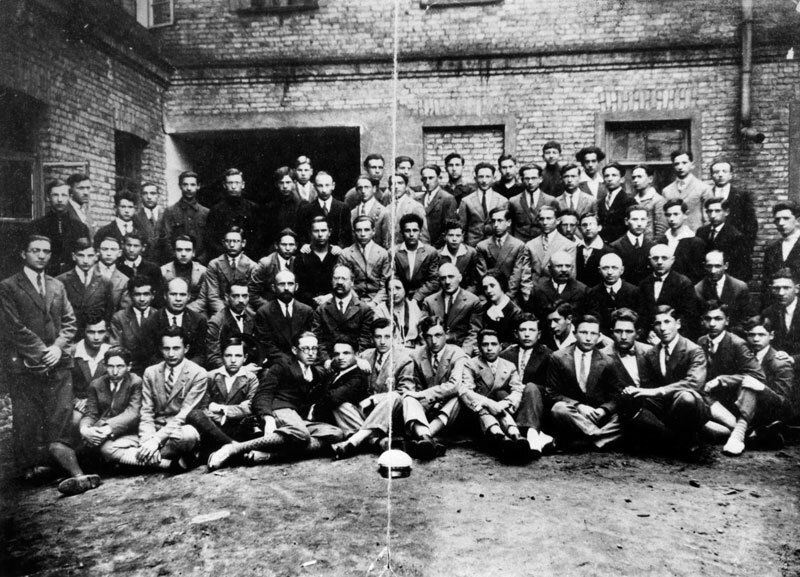 At the end of the 1930s, the gymnasium won government recognition, allowing the matriculation examinations to take place in Yiddish and for its graduates to study at the University. The Education Committee published text books, maps, two magazines – one for children and the other for youth and adults – and pedagogical booklets. At the end of the 1920s, a Zionist-Yiddish educational network – the "Schul Kult" – was established that ran a Yiddish school. Some 2,000 students learned in the Yiddish school. 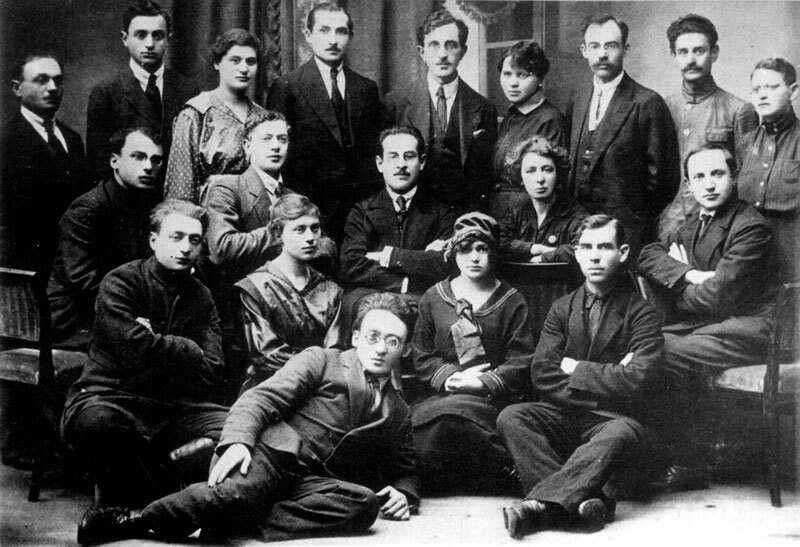 The "Tarbut" Zionist-Hebrew educational network began its activities in Vilna in 1925. 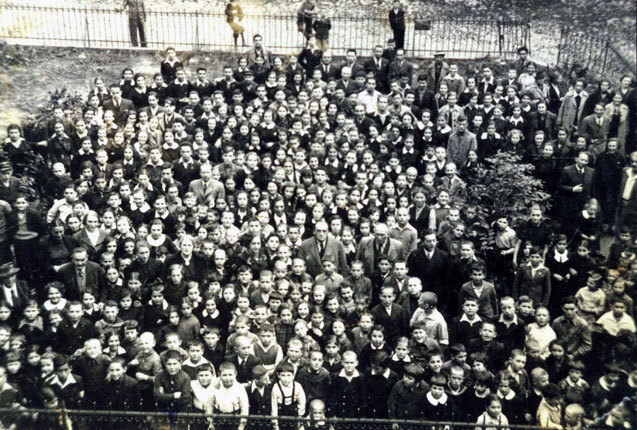 The network ran kindergartens, primary schools, a gymnasium specializing in the physical sciences (that closed in 1931) and a Hebrew training college for kindergarten teachers – the only one of its kind in Poland. It also published popular science booklets for young people. The united committee's "Tachkamoni" educational network included 11 schools, a private religious gymnasium and teacher training courses. 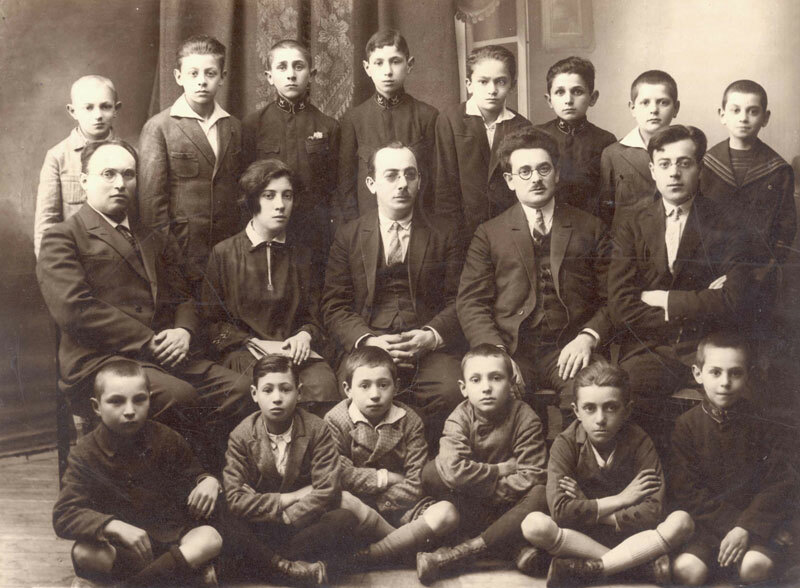 The municipal Talmud Torah (religious school), a school with six departments, had some 300 students – half of them children from the orphanage. They were exempt from school fees, and received free meals and schoolbooks. The network's institutions taught some 1,500 children all together. The "Horev" ("Yavneh") centre ran a primary school and supported some 20 yeshivot and 200 heders (Torah school for young children) in Vilna and its surroundings – in which approximately 1,400 students learned. In 1924, the Association for Yiddish Culture ("Vilbig" – Vilner Bildungs Gezelshaft) began to operate in the city, in conjunction with ZBK. The Society organized Saturday morning lectures, hikes, children's performances, language and maths courses, and even established a choir and a mandolin orchestra. The Society opened more than 20 branches in the towns around Vilna, of which the Oszmiana and Glubokoye branches were still in existence in 1939. Heading the Education Department was the Zionist Dr. Yosef Berger, but many teachers objected to his demand that the Yiddish schools should also teach Hebrew. The Education Department took care of kindergartens, nourishment for the students, libraries and a museum, held pedagogical courses for "Tarbut" and ZBK teachers, and sought to train teachers in the realist and humanist-nationalist streams. The city had two teachers' associations – Hebrew and Yiddish. Private educational institutions also operated in Vilna, in Hebrew, Yiddish and Polish. Dr. Czarny founded a private teacher training college, a primary school in which his students taught, a training college for kindergarten teachers, and neighbouring it, a kindergarten and Hebrew gymnasium. Sofia Gorewicz founded a private gymnasium, and later, a Yiddish school. The Anna Wygodski Gymnasium switched from Yiddish to Polish, and at other schools the language of instruction was Yiddish, Polish, Russian, Hebrew or French – or a mix of two languages. The city also had a Jewish school for the learning disabled, the only one of its kind in Poland, in which the students wrote and staged a play about their lives. In 1934, a People's University opened in the city, at the initiative of "the Hebrew Scientific Society" and the "Tarbut" network. In addition, the various educational networks held evening classes for those not enrolled in full-time learning but still wishing to obtain an education. 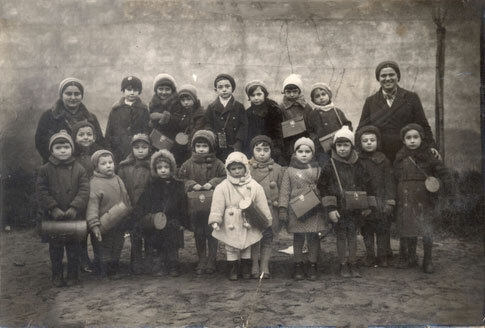 The authorities made it harder for the Jewish schools by demanding they pay for the entire year in advance, by repeated investigations on suspicion of communism, by demanding that the teachers present certificates of good behaviour and even by closing the schools from time to time on the grounds that the building was not suitable or the equipment insufficient. An "ORT" Yiddish vocational high school existed in the city, whose teachers translated text books from other languages. In the Jewish "ORT" Technical College, classes were given in Yiddish but also in Russian, because of the lack of technical terms in Yiddish. Later on, the students requested that the language of instruction be Hebrew, because they wished to emigrate to Eretz Israel at the conclusion of their studies. This was the only Jewish school in Poland that granted technical or engineering degrees. The School held professional courses for adults, and even had a committee to find employment for its graduates. Its school for industrial professions was also the only one of its kind in Poland. Additional industrial courses were run in the city, among them housekeeping and commerce.